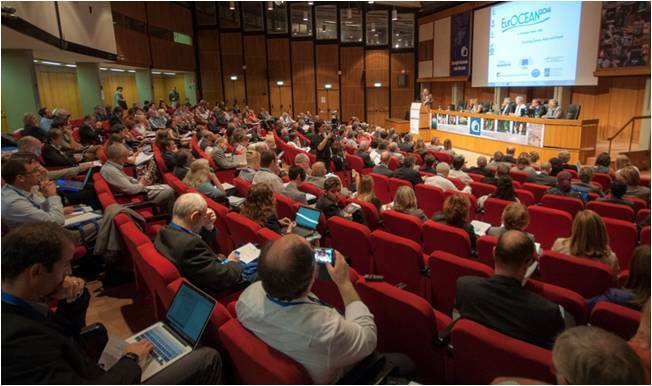 The EurOCEAN 2014 conference (7-9 October 2014, Rome) brought together marine scientists from a broad range of disciplines with policymakers, industry and NGOs. 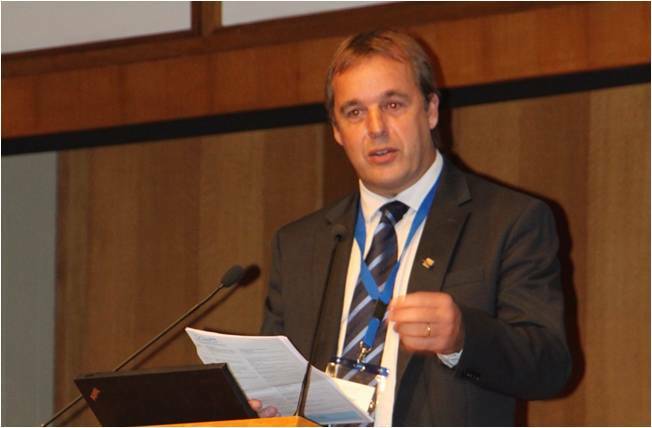 Highlighting the importance of Blue Growth and of commercially-driven, problem-oriented research, EurOCEAN 2014 equally emphasized that a growing and sustainable maritime economy will also require a much greater knowledge and understanding of marine ecosystem functioning and resilience. A key output of EurOCEAN 2014 is the development of a common vision on achieving an ecosystem approach to the management of Europe’s marine resources as a fundamental requirement for sustainable Blue Growth. 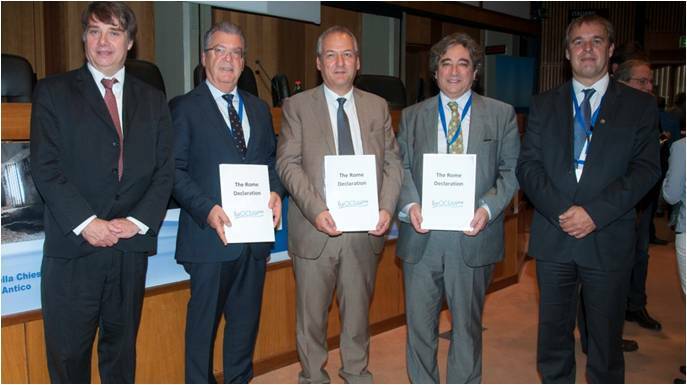 This common vision was delivered on 08 October in the Rome Declaration, a consensus view of the EurOCEAN 2014 participants, reflecting that of the European marine science community. 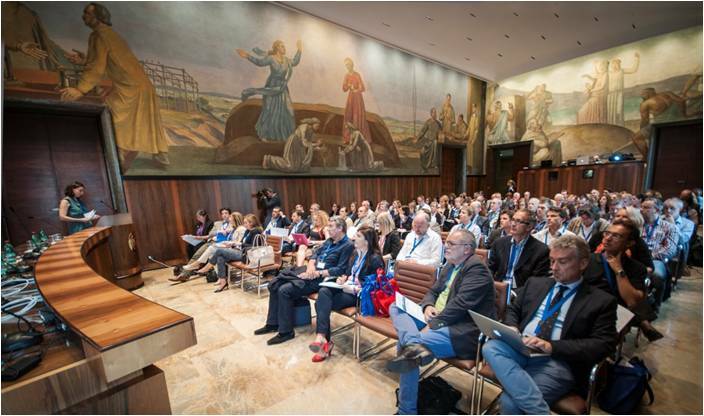 EurOCEAN 2014 was an official event of the 2014 Italian Presidency of the Council of the European Union, co-organized by the Italian hosts (CNR, OGS and CoNISMa), the European Marine Board and the European Commission.